‘We set up our brewery here because we’re all local to Strathaven,’ says Craig Buchanan, ‘and because we thought it would be a good idea not just to resurrect the local brewery but to promote it as well. When the previous owners were here they obviously produced their beer, but they didn’t use it to encourage visitors to the area the same way we do.’ Formerly an engineer, Buchanan set up Strathaven Ales in 2005 with help from his father Douglas and his friend Allan Young, both since retired. ‘I understood the mechanical side of brewing, but the art of it was new to me,’ he says. Fortunately, previous tenants the Williams Bros Brewing Co. (Strathaven was the former site of their Fraoch Heather Ale production) were able to assist for the first couple of months while Buchanan figured out a few recipes of his own. Things have progressed from there, and currently the brewery is a ten-barrel plant producing over 45,000 litres a week, with distribution across Scotland and small exports to Germany and Sweden. 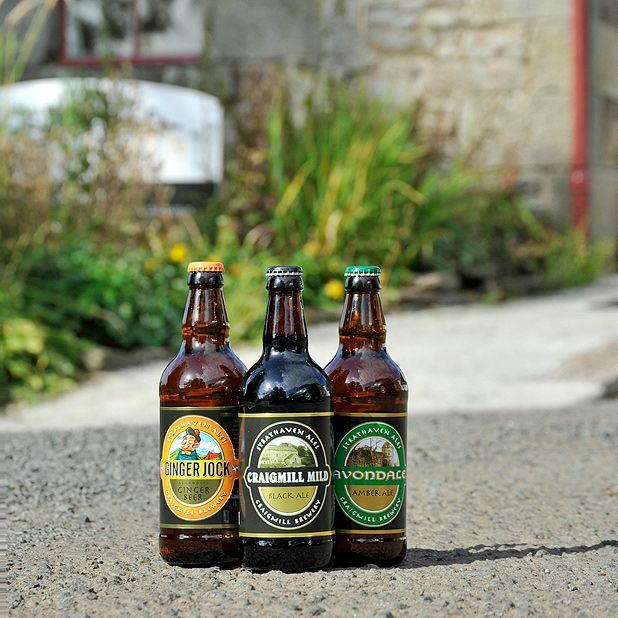 Among the fifteen core and seasonal lines are the malty Mortality ale, the sweet Clydesdale pale ale and the citrus-scented Claverhouse red ale. So it’s about the beer, and it’s about the location. ‘Yeah, we’re an old mill right on the riverbank with the river flowing by,’ he says. ‘We’ve got about three or four acres of ground that can be used for open days and a public function room downstairs. In summer we even invite some of the pubs we supply along for a barbecue.’ Which is certainly one way of showing off the product.